About this Book . . . . .
Ulysses S. Grant is one of the most interesting individuals that this country has ever produced. A wealth of material has been written about his Civil War years, his presidency, and his later life. So little has been put down about Grant's Pre-Civil War years. 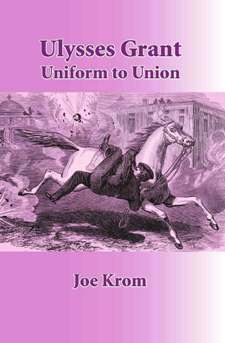 After years of research, Mr. Krom has based this book on documented events intertwined with contemporary events of the region and local lore. This historical novel is an enjoyable narrative that brings to life the young man who one day would become the most popular man in the United States. While hundreds of facts are sprinkled within the story, this is not a history book. Hopefully you will discover the personality behind the man. You may begin to appreciate the people he encountered and the country that he loved.